1. One of the most durable gloves under £40 price range. 2. Very comfortable and natural on the hands. 3. Provides great protection for all parts of the hand. 4. Well designed and well balanced. 1. The colors of the RDX gloves don't really hold up very well compared to most standard ones. 2. Some users found it too tight with hand wraps on. I personally haven't had this problem. These are one of the more satisfying boxing gloves you will find in the UK market. All aspects of design, comfort, durability and protection are quite good and the price is also decent. It can be used quite well by both amateurs and professionals. Apart from the Cons mentioned, I had no other problems. And most user reviews seem to agree with this. 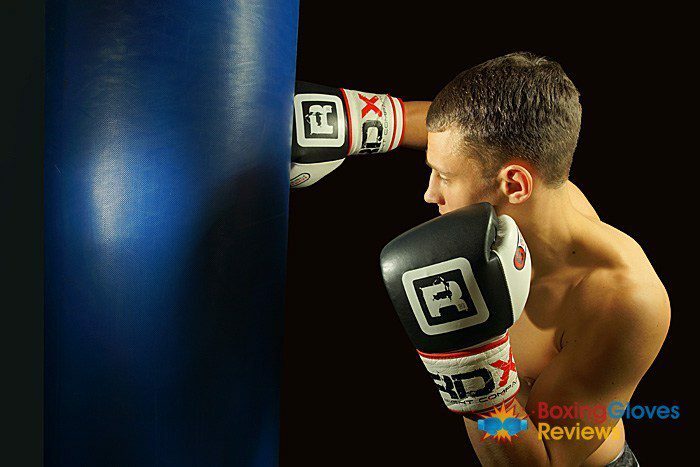 I definitely feel that RDX Leather Pro is one of better boxing gloves in the UK market. 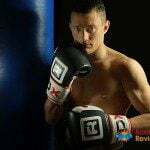 I’ve bought RDX Boxing gloves two years ago, when I used to train in the UK. These were my first 16 oz gloves. 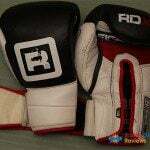 I used them primarily just for sparring, and some light bag work and mitt work. And after two years of use they still hold pretty great, I still use them once a week, as my spare pair of gloves for sparring. 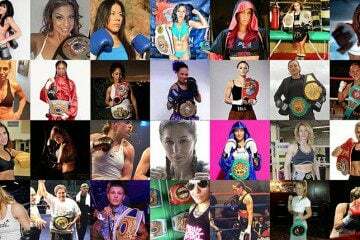 RDX is a company that has produced a number of quality products for the contact sport and weightlifting industry. The brand has been a favorite with both professionals and amateurs in the UK for many years now. 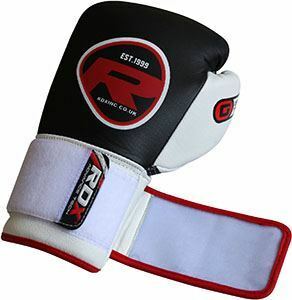 One of the most popular products to be released by them is the RDX Leather Pro Fight Boxing Gloves. These gloves are made of full grain cow hide leather and use three layers of Gel for shock absorption. 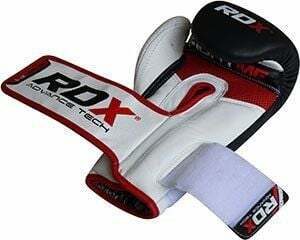 The use of exclusive cow hide leather ensures that RDX boxing gloves will stay strong and durable for a long time to come. Like I said, they are still in good condition, and get the job done even after two years of constant use. 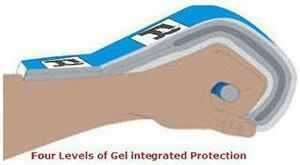 It utilizes four layers of gel internal padding which means good resistance to shocks. 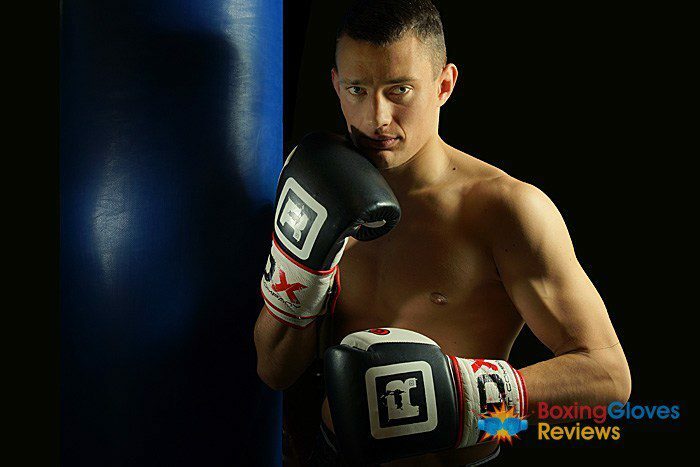 After all, the purpose of gloves is to keep your hands safe, and I think, this aim is achieved quite well with the RDX Leather Pro Boxing Gloves. The extensive padding means that there is a strong fit over the hand of the boxer and it feels completely comfortable. The leather strap ensures that it is light and maintains a cool environment for the hands. Additionally, there is a great adjustable wrist strap which utilizes a hook and loop mechanism for the most secure fit. The design ensures that removing and putting on the gloves is quick and easy. One of the best things that I like about RDX gloves are how they combines both protection and comfort to create a great balance. 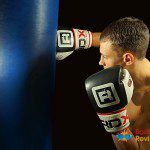 Many times boxers are bogged down with gloves that are too heavy with padding. These provide good protection but tend to be hard for quick movement. On the other hand, some gloves do the exact opposite: they are flimsy and lightweight but do not provide adequate protection. The designers at RDX have done a neat job with this to come up with gloves that have a good balance of both. The use of the special gel mold for padding ensures that the gloves lightweight but strong.The leather feels very cool and comfortable on the hands, even after wearing them for a long time. 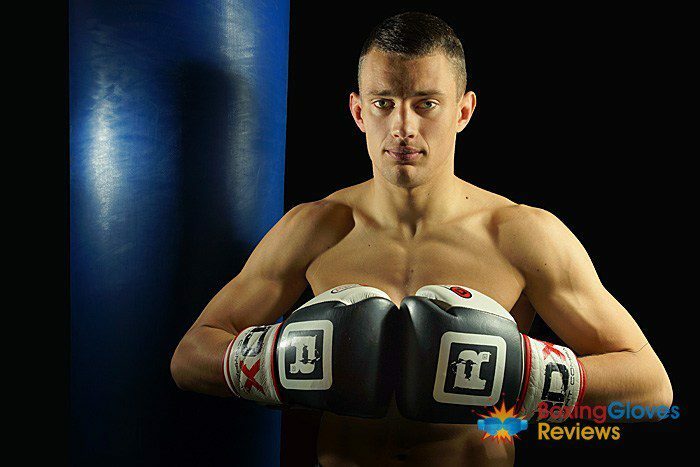 The top and side areas of the gloves provide adequate protection against jabs, hooks and uppercut combos. 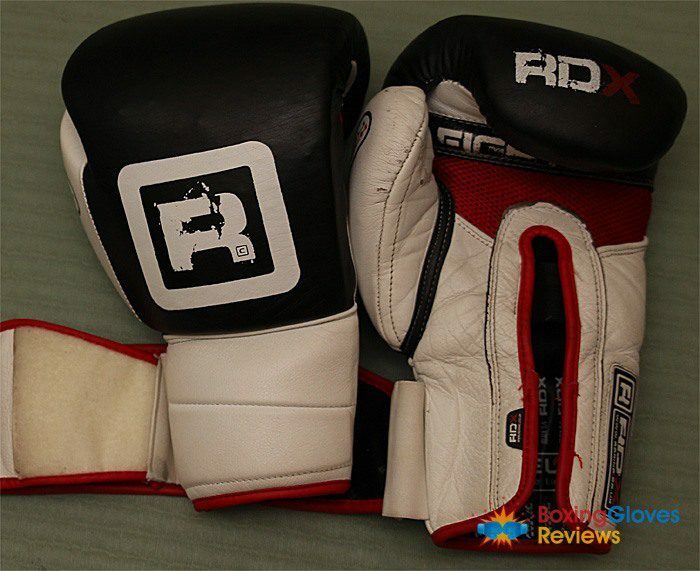 Another great feature of RDX boxing gloves, that I’ve kind of mentioned already is that they can take a good beating and still not be worse for wear. Even after two years of use, the functionality of the gloves maintains its standards. 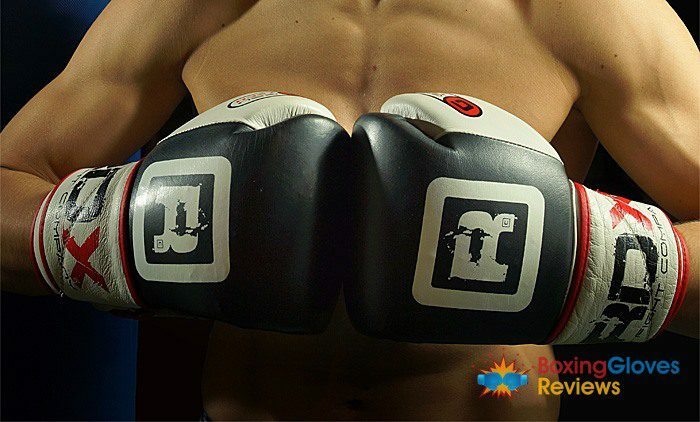 Many boxers find that the moment they start getting a bit serious with their workouts and start training regularly, most gloves just fall apart. However, this will definitely not be the case with the RDX Leather Pro. And I believe the reason for this is probably that RDX uses really high quality cow hide leather to make these gloves. The only problem might be that the colors seem to fade away a bit quickly. At any rate, it does the job really well and is one of the most durable pair of gloves to be found in the UK. I just wanted to add my comment here and say that the stitching around the thumb of the gloves that I own looks real good, although it tears a little bit apart around the wrist area of the right hand glove. So it obviously not the case for all RDX gloves. 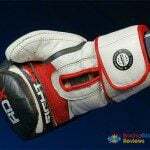 But the stitching can be a flaw for some RDX gloves. 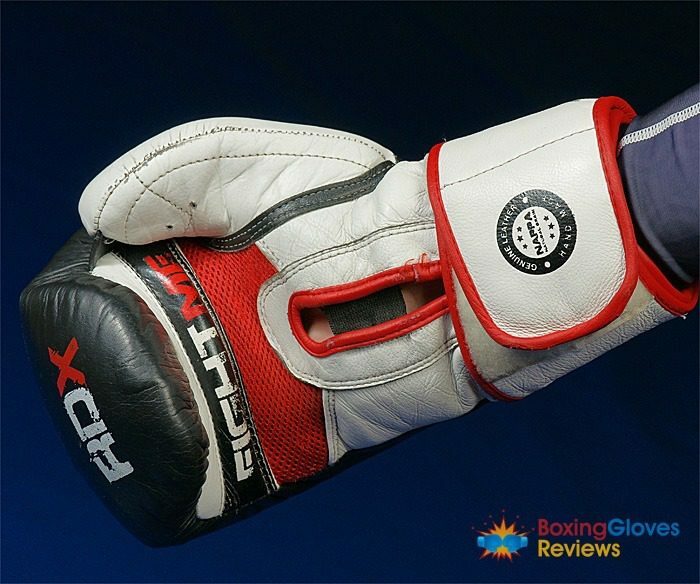 So I hope you guys, like my review and I would love to read your feedback, especially the ones who have used these boxing gloves. Feel free to share your ideas in the comments section.